Our U.S. team is volunteer-based, allowing 97.3 percent of every donation to reach Haiti. 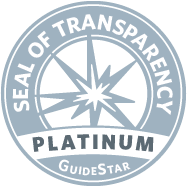 We have achieved Guidestar's highest rating for charity efficiency and transparency. We invite you to look closely at our financials below or download our Annual Report for 2018.